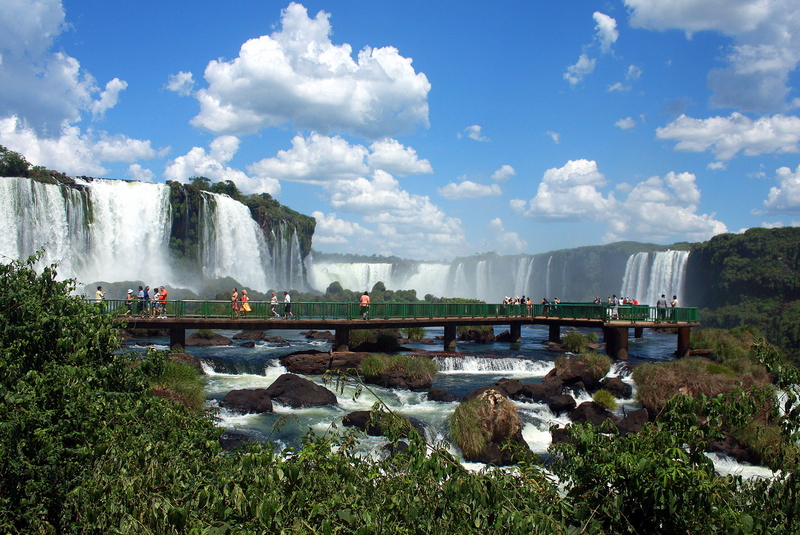 Articles > Visit > Iguazu Falls - Niagara Has Room for Improvement! Noise of stream, as if someone forgot to turn off tens of thousands taps, can be heard from the distance of several kilometers to fade in… Finally, a valley filled with numerous cascades (275, to be precise) greets your eyes. 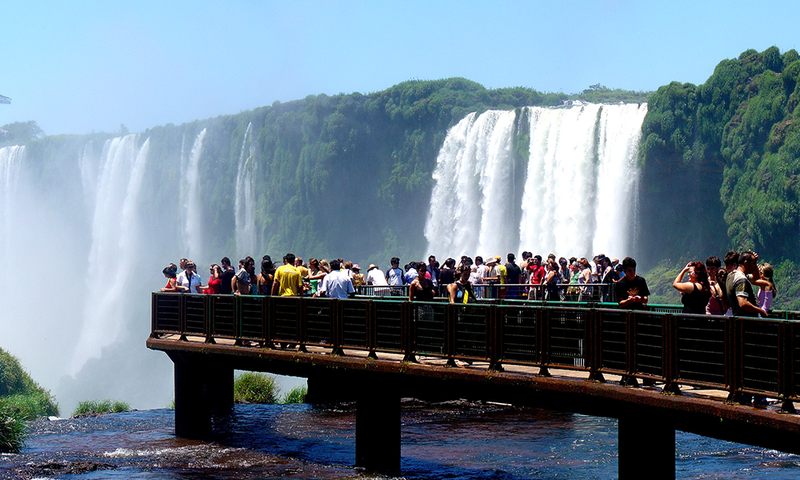 Tourists, vested in raincoats, gather on viewing platforms, add amazed exclamations to the sounds of falling water and wonder who has created such beauty. There are a couple of answers to that. Local legend has it that waterfalls are the outcome of unshared feelings of ancient Indians’ supreme god who fell in love with a native woman called Naipi and demanded that the chieftain of the tribe, and concurrently the father of the girl, give him his beloved. The severe father, who didn’t dare to stand up to the “Great One” agreed, of course, despite entreaties of the heiress to leave her alone for she had already got herself a groom, although not a divine one. On reception of a square ‘no’ the couple decided to run away. Their way went through a river. They were oaring in attempts to get to land as soon as possible and hide in impenetrable jungles but the rejected potential husband noticed them, got outraged and put his huge foot down into the river – and this was how the waterfalls emerged. Trivial scheme as for myths: gods + mortals + unhappy love = wonder of nature. In opposition to the fairytale, scientists, as always, suggest their own theory. 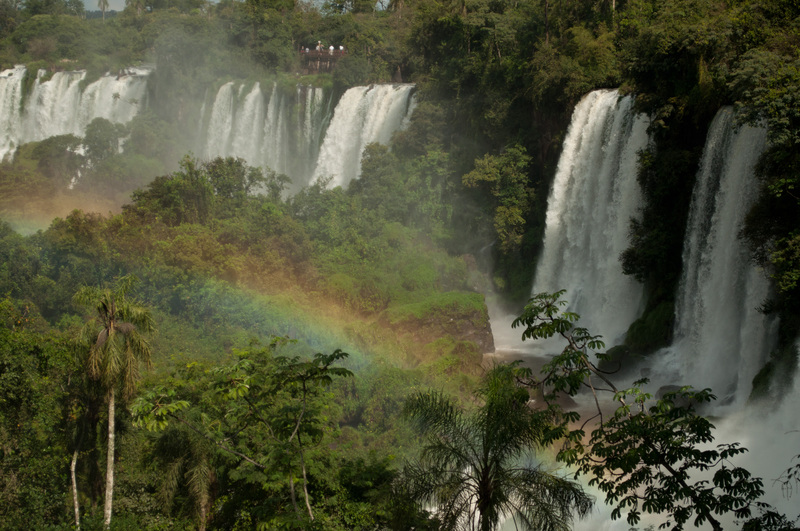 In this case – the one of the falls being volcanogenic. Out of enormous amount of lava high rocks were formed and later rains ‘overfilled’ local river so it started falling over blocks to create a tremendous complex. “Poor Niagara…” – that’s all that the first lady of the United States Eleanor Roosevelt managed to utter on visiting the place. Yet, she wasn’t even looking at the entire panorama from a helicopter! For present day’s tourists it won’t be a problem, well, except, perhaps, a financial one – the flight will cost 110 dollars. 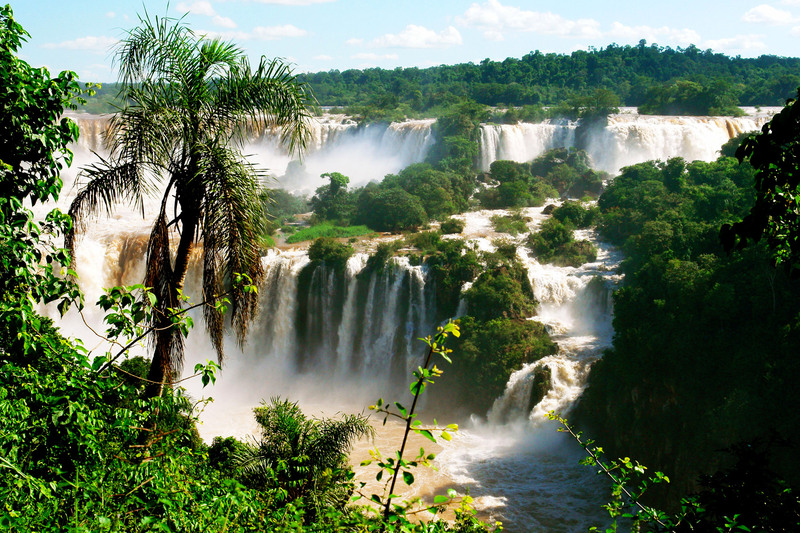 Those who want not only to see but also to literally ‘feel’ the waterfalls will have to lay out half the price. Tourist boats will take them for a tour along rivers that tons of water fall off into. 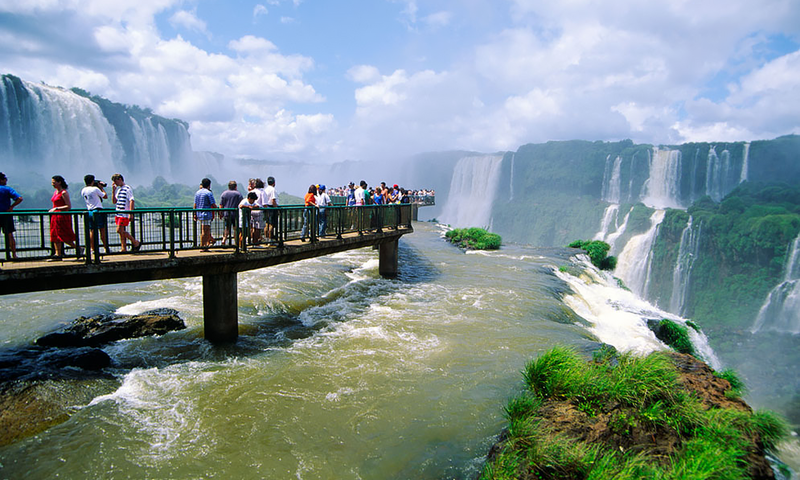 When speeding together with the rapid flow of Parana that waters on the side of Paraguay, or Iguazu itself, that stems from the territory of Brazil and Argentina, it is as if one is melting in the huge stream and feels like its part.